Dr. Tarik M. Husain always appreciates feedback from his valued patients. To date, we’re thrilled to have collected 33 reviews with an average rating of 5 out of 5 stars. Please read what others are saying about Dr. Tarik Husain below, and as always, we would love to collect your feedback. Dr. Husain is a very highly qualified surgeon. His education and experience made me feel comfortable knowing that I was in good hands. He gave me the ability to gain my self confidence back which I have been struggling with my whole life. His staff are also really nice, and the office looks amazing. Thank you so much Doc! Dr Husain is great, I had abdominal etching done and my stomach is ripped! I'm super happy with my results. I went back for a follow up and got some "Brotox" in between my eyebrows I have to be honest I was intimidated at first, but Dr. Husain made the whole process painless, and my results are out of this world. I have been seeing Dr. Husain for years and he is the best! He has the best recommendations. I would say he is a cheek contour and lips specialist for sure. Seeing him in his office is always a pleasure. He always has me laughing too! Great staff. Dr. Husain did an amazing job removing my eyelid skin tag! Thanks to him and his wonderful staff! I highly recommend Dr. Husain! Dr.Husain is an excellent doctor. And he has such a focus in the details. He changed my body dramatically and increased my self esteem. 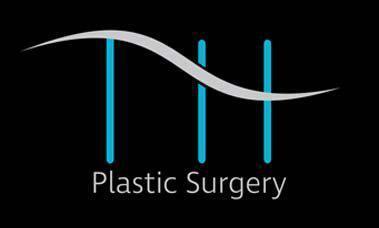 I have done many procedures with him: such as hand rejuvenation, fat grafting to my face, liposuction and BBL. I'm very happy with all the results and truly recommend Dr. Husain. Dr. Husain and staff are excellent. Very professional and highly recommend. Dr. Husain performed hand /wrist surgery after a major accident. I went in to Dr Husain’s office for the abdominal etching procedure after I saw my wife’s amazing results. I can honestly say it’s worth it!! Dr Husain is amazing at what he does I highly recommend all my friends to pay him a visit. It will save you all those hours at the gym. Thanks again Dr Husain for my six pack !! Dr. Husain is the best cosmetic surgeon in town. He is down-to-earth and very knowledgable about the latest treatments. I highly recommend him! I had an accident, where I split my forehead open, just above my right eyebrow. The wound was deep and I thought I'd be heavily scared. Dr. Husain sewed me up with internal and external stiches. Three months later, my scar was barely visible! I also followed his advice and used an excellent scar gel that he recommended, which is available in his office. On another occasion, I telephoned Dr. Husain during an emergency and he saw my husband immediately. It was a life saving situation. I have the greatest confidence in Dr. Husain, he is an excellent doctor and surgeon. Thank you for your care. 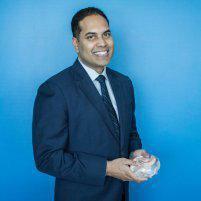 Dr. Husain aka Dr.Miamibeach is great! I got lip filler done by him on a few occasions and I couldn't be happier. It was painless and I have no bruising. His office is very chic and clean. I highly recommend Dr.Husain for injectables! Dr. Tarik Husain is an artist with the scalpel. He is friendly, honest and always an advocate for his patients. This professional humble surgeon is the ONE, you want to refine your body! I’ve gone to a few different places to get my lips done and they’ve never turned out as good as they do now. They look so natural and Dr. Husain did an amazing job. I have a low tolerance for pain and I barely felt a thing. So happy with the results! Dr. Husain is such an amazing doctor. He takes his time with his patients and really understood exactly what I wanted from the initial consult. The staff is very nice and Vanessa made by surgery scheduling a breeze and made me very comfortable. I am super happy and could not be more pleased with my results. My Tummy Tuck w/ Liposuciton was performed June 2, 2017, by Dr. Tarik Husain in Miami, FL. I cannot say enough about his expertise, professionalism, and his incredible team of nurses, surgical assistants and staff, who, including Dr. Husain himself, were in constant communication with me from moment I scheduled the procedure, through my return to California post-op. I could add 900 more stars to the ratings, and it would not be enough. Quadruple Board Certified, he is a consummate professional and a surgical artist. He has a genuine interest in providing the best care to his patients and will help you achieve your desired outcome without compromising your health or safety. I am grateful and honored for the opportunity to have him as my surgeon. Blessed! Dr Husain is an amazing surgeon. I had ebdomnial etching done and I’m extremely happy. I can’t keep my shirt on. Thank you Dr. Husain!!! Im a plastic surgeon practicing in Miami Beach. I trust Dr. Husain enough to let him inject Botox in my face. I wouldn’t let just anyone do this but I’ve worked with him and trust him as a skilled surgeon. He did a great job and I’m happy with the results!